Open Days are one of the best opportunities for prospective students to experience what Regent’s Park can offer. The College is open from 9am to 4pm – there’s no need to book, just drop in. 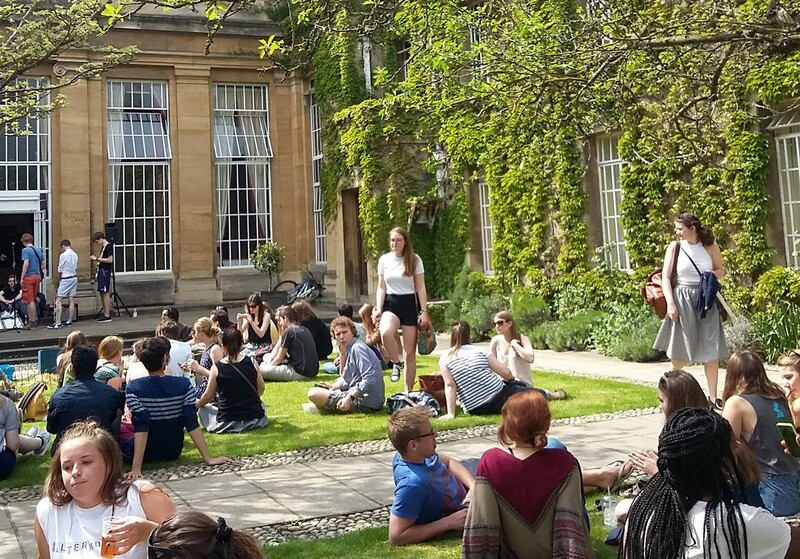 Tea and coffee will be served all day, and are welcome to bring your own lunch and enjoy our beautiful quadrangle. As well as regular open-day activities, we will be running college tours throughout the day with some of our current undergraduates who will be able to tell you all about their experiences of Regent’s Park and Oxford. From 10am to 4pm, tutors will be available to talk to you about specific subjects and the admissions process. Again, there is no need to book but if you would like to speak to a tutor at a particular time outside the schedule, please email us in advance. There will also be information available for teachers and parents/guardians on financing student life and supporting students’ applications. If you have any questions, or if you can’t make the open day but would still like to visit and meet some of our tutors, email our Academic Administrator, Bailey Thomas, at academic.administrator@regents.ox.ac.uk.